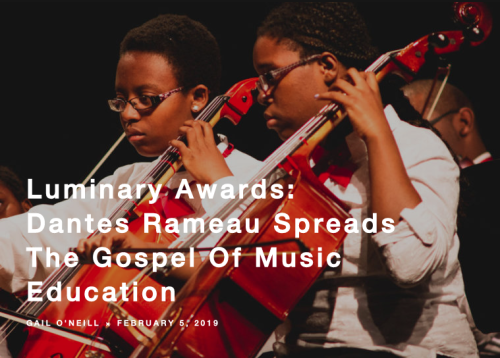 The Atlanta Music Project is pleased to announce that our co-founder & executive director Dantes Rameau was recently awarded the 2019 Luminary Award for Arts Education from ArtsATL.org. The award was presented to Dantes by Lisa Cremin, Director of Community Advancement at the Community Foundation for Greater Atlanta. Taking place at City Winery in Midtown, the award ceremony was attended by Atlanta artists, philanthropists and arts aficionados. It was a special night for AMP as our Senior Youth Orchestra (sponsored by Cricket Wireless) was invited to perform for the event. Led by conductor Logan Souther, AMP young artists premiered an original work for strings and woodwinds by Nashville-based composer Nicole Neely, commissioned specifically for the occasion. 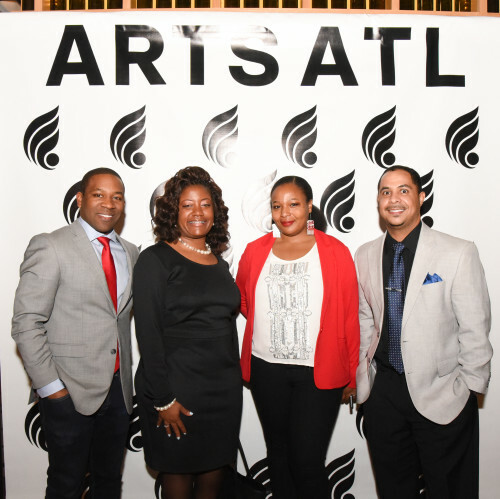 For more on the Luminary Awards and to learn about the other award recipients, see this announcement on the ArtsATL.org website. Scroll down for press, a video and pictures about the 2019 Luminary Awards ceremony. Read ArtsATL.org’s feature profile here about Dantes Rameau and the Atlanta Music Project by journalist Gail O’Neill. Watch the award video that was shown at the 2019 AMP Luminary Awards, and which included testimony from long-time AMP partners including the City of Atlanta, Bank of America, and Clayton State University. 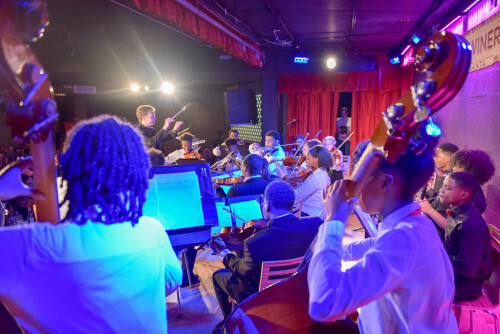 The AMP Senior Youth Orchestra under the direction of conductor Logan Souther received performing “Open Spaces” an original work by Nicole Neely, commissioned for the 2019 Luminary Awards. Atlanta Music Project staff attended the Luminary Arts Awards. 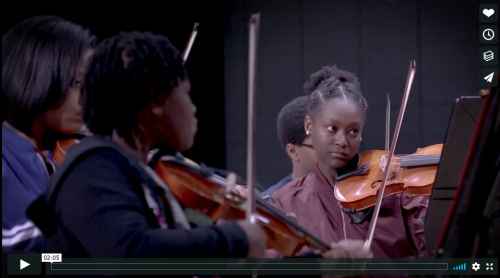 L to R: Dantes Rameau, co-founder & executive director; LaTashia Bridges, String Teaching Artist; Nadirah Watson, Grant Manager & Writer; Averil Taylor, Manager of Primary Orchestras.